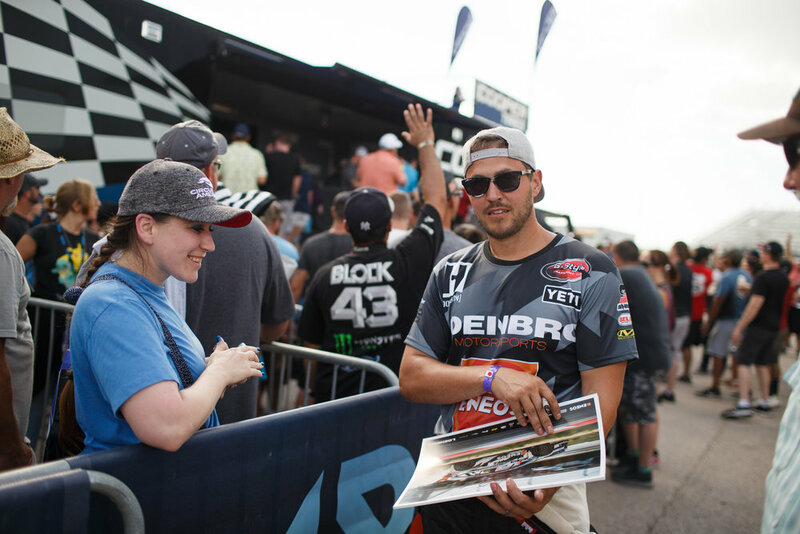 (November 12, 2018) – Canadian star Steve Arpin switched from the Ford Fiesta he had raced in rallycross in previous years to a Ford Focus RS RX for the inaugural Americas Rallycross (ARX) season in 2018. Arpin missed the opening round of the season at Silverstone in the UK while his Loenbro Motorsport’s team was busy forming the Loenbro Hoonigan partnership to team up with Ken Block for ARX 2018, while running a test program with the Focus RS RX that was used by the Hoonigan Racing Division in the FIA World Rallycross Championship in 2016 – 2017. 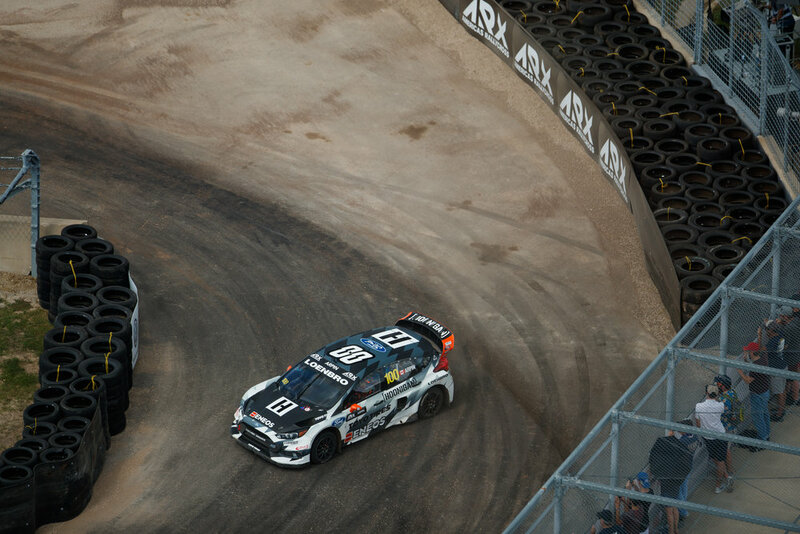 When the cars hit the track for DirtFish ARX of Circuit of The Americas in Austin, Texas, the team was hampered by some technical issues surrounding the suspension and as Block finished on the podium, Arpin retired in the semifinals. Moving to his home round at Grand Prix de Trois-Rivieres in Canada, Arpin was immediately on better form in front of his home crowd and won his qualifying race to set the third quickest time in Q2. He then finished third on track to champion elect Scott Speed and Block in Q3 and qualified fourth in the Intermediate Classification. Third in semifinal two meant a place in the final, but a lap one joker lap behind Subaru’s Chris Atkinson slowed his challenge and Arpin finished sixth. 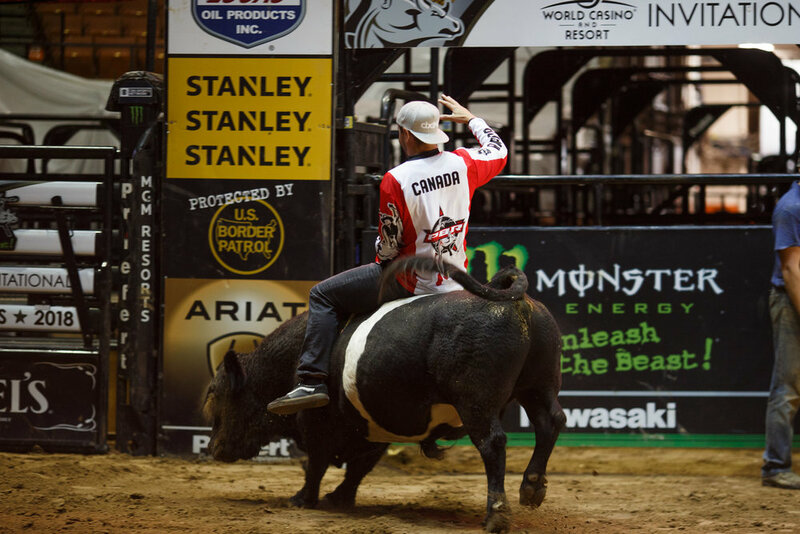 Ahead of the final event of the 2018 season, Arpin’s bravery behind the wheel transferred into the bull ring; literally. 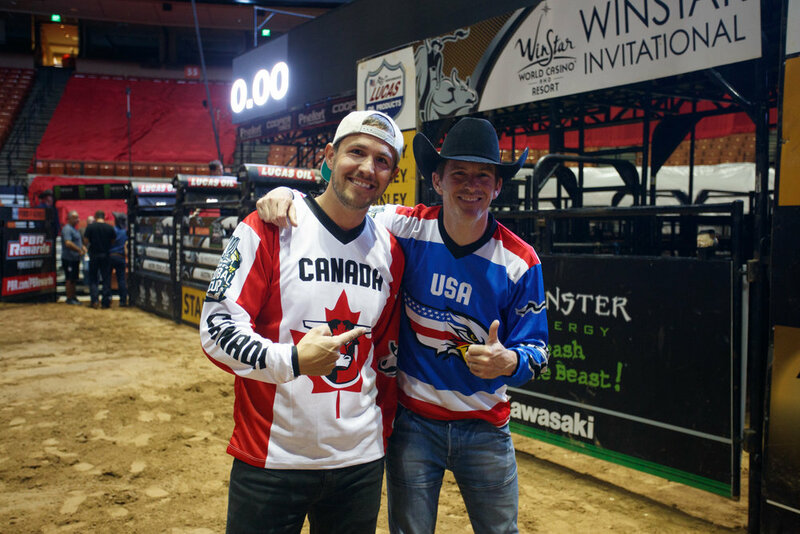 The Canadian Cowboy and fellow ARX driver Scott Speed were invited to ride bulls ahead of the Professional Bull Riders event, the WinStar World Casino and Resort Invitational, held the same weekend as World Rallycross of USA at Circuit of The Americas. The duo performed well and impressed the PBR’s finest. The final round of the season at COTA was where Arpin really showed his mettle however. He finished second to Volkswagen Andretti Rallycross’ Tanner Foust in both Q1 and Q2 to be second at the end of the first day. But, he jumped the start in Q3 and drove in the second race slowed by rain, meaning he was down in seventh. In Q4 though, a turn one incident with GC Kompetition’s Liam Doran left Arpin embedded in the tire wall. He got going and finished the race, before making his feelings known to Doran out of the window after the flag. Second to Foust in semifinal one took Arpin to the final, and he climbed to second at the first turn behind Foust. A lap three joker dropped him behind Speed, but he made it to the finish third to take his first ARX podium. Arpin finished his first season in the series sixth in the standings.